ON THE CASA BLANCA GOLF COURSE WITH MOUNTAIN VIEWS! Beautiful plan 3 with 2 Master Bedrooms in Sunset Green's gated community. From the moment you walk through the front door it feels warm and inviting. Featuring new paint, hardwood floors in living room and master bedroom, new lighting throughout, new high toilets, new water heater, new water softener and new carpet in 2nd Master Bedroom. The garage has built-in cabinets for all your needs. 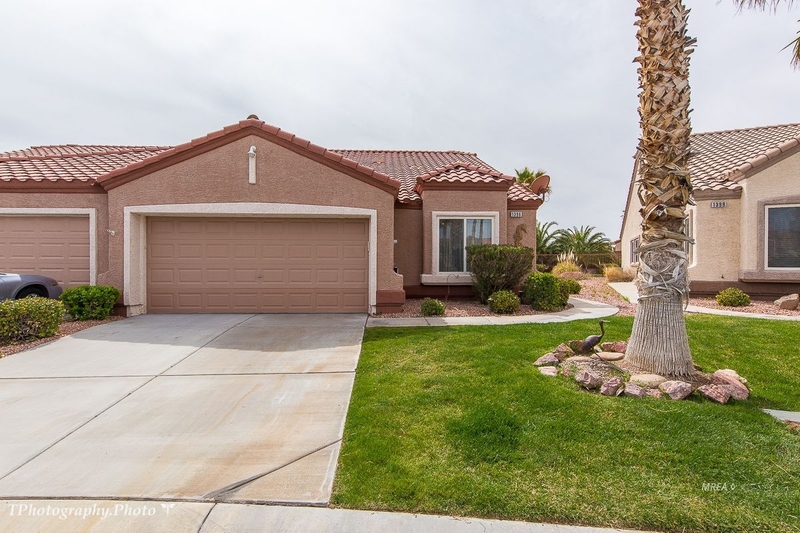 The gorgeous backyard features the golf course, mountain views, tiled covered patio with extended pavers and a beautiful water fountain which makes this one of the most comfortable and beautiful patios in Mesquite! Come see this fantastic townhome!